The Mitch McConnell plan is pure politicking. The mechanism—a “resolution of disapproval”—sounds like a parody of Congressional proceedings. But Republicans get to run ads suggesting they voted against raising the debt ceiling. And President Obama gets to prevent default and economic catastrophe. Everybody wins. But if the purpose is to score political points, will it work? A Gallup poll released today suggests it may be too late. While most people are still opposed to raising the debt ceiling, support for raising the debt ceiling has risen to 37 percent, from just 17 percent in May, indicating increased public awareness about the consequences of default. Most importantly, among people who are following the debate "very closely”—the people who heard Obama threaten that Social Security checks may not go out August 2—there are far more who fear raising the debt ceiling without spending cuts than those who fear an actual default on the debt. This seems like a sign that the McConnell plan would not successfully stick Obama with responsibility for the squabble come 2012. Republicans have convinced the public that we need to make big cuts before raising the debt ceiling, so now voters are hungry for a deal. 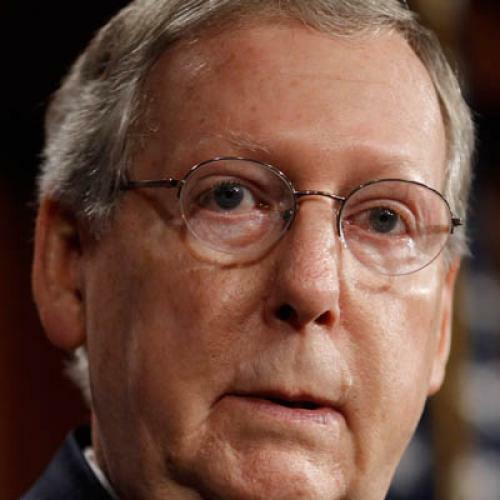 McConnell's attempt to drop the issue entirely seems more likely to backfire on the Republican Party than on Obama. The idea is straightforward: the more news coverage of an issue, the more the public thinks that issue is important. The news coverage can be driven by salient real-life events, by the media’s own agenda, or by the agenda of politicians, which is typically reported in the media. In this case, media coverage largely reflects the attention given to the deficit by politicians […] In short, if you want to know what the public cares about, listen to what politicians and news outlets are talking about. Public opinion has already conformed to the political agenda. Republicans demanded spending cuts before raising the debt ceiling, and Obama responded in turn. The public has adopted the Republican’s sense of urgency on this issue. At this point, voters are more likely to punish Republicans for abandoning ship. The debt ceiling used to just represent a chance for the minority party to embarrass the majority party. Republicans made it something much more—an opportunity to extract large concessions on spending while holding the economy hostage. Now the public is riled up about government spending. The agenda has been set. It may be too late to change it.